Students at Stellenbosch University are affectionately called “Maties”, and being a Matie has come to mean carrying on one of the oldest academic traditions in South Africa. The University of Stellenbosch is situated in the heart of the Western Cape winelands where university life is closely linked with the atmosphere of the town. In the area of student life and the non-academic side of being a Matie, Stellenbosch is especially known for its residence life, outstanding sporting achievements and rich social life. Students at Stellenbosch University are affectionately called “Maties”, and being a Matie has come to mean carrying on one of the oldest academic traditions in South Africa. 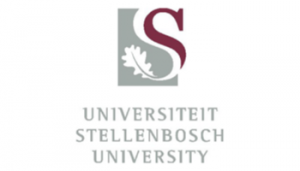 Stellenbosch University (SU) is among South Africa's leading tertiary institutions based on research output, student pass rates and rated scientists, and is recognised internationally as an academic institution of excellence. It has one of the country’s highest proportions of post graduate students of which almost ten percent are international students. Stellenbosch University is known as a residential campus with an active residential life, which makes residence placement sough-after among students. Stellenbosch Campus has 12 women's, 9 men's residences and 2 co-ed residences. The Tygerberg Campus has 4 co-ed residences.